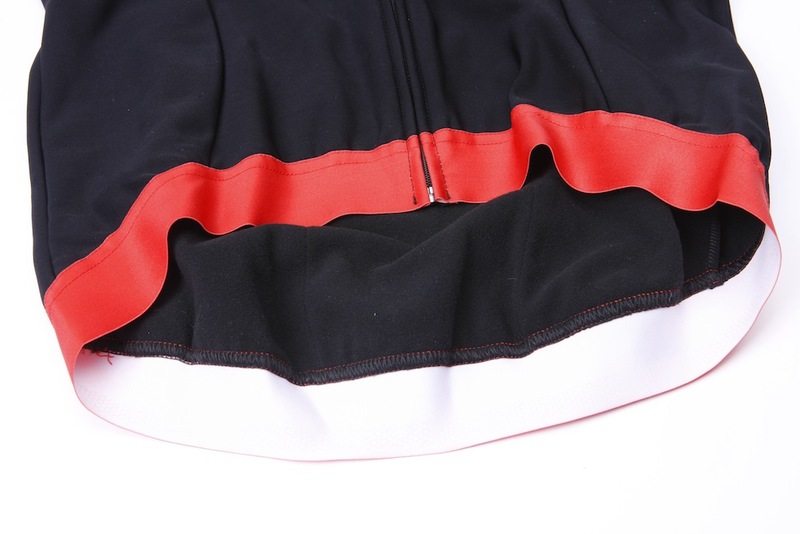 The Gieseggi Cauberg jacket is a lightweight water and wind resistant jacket/jersey in the mould of Castelli’s Gabba. Its ninja-black colour scheme is relieved by a wide red waistband, the GSG logo across the chest and reflective banding on the tops of the three rear pockets. The Cauberg’s insulation and windproofing are great for winter riding. With a short-sleeved baselayer underneath, it works well in milder conditions. Swap in a long sleeved baselayer and it’s good down to about zero. The fabric is usefully water-resistant too. Drizzle beaded off the jacket, and unlike some other water-resistant jackets which we’ve tested, this continued to be the case even after multiple washes. There is no moisture build up inside the jacket either, even when riding uphill, so it doesn’t develop the clammy feel which can become uncomfortable when working hard in damp conditions. Surprisingly for an Italian garment, the Giessegi Cauberg jacket comes up large. I’m usually a UK medium and a large in some other well-known Italian brands, but fitted well into a small size. 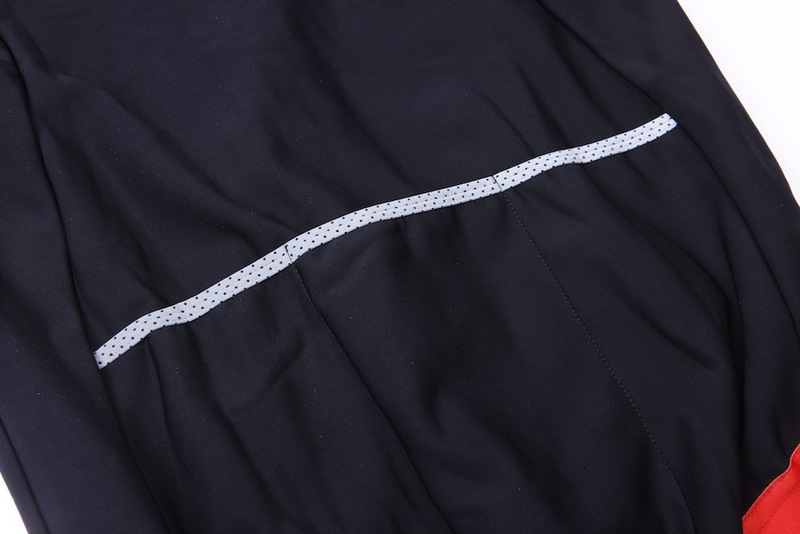 The fabric is stretchy enough to fit well over a baselayer, providing a close fit without windflap. I found that I could happily fit a long-sleeved baselayer underneath too when it was needed. The Giessegi Cauberg jacket doesn’t have quite the rear end coverage of some other lightweight water resistant jackets though, so spray from the rear wheel is more likely to find its way to your shorts. Another nice touch is that Giessegi will customise the chest logo on orders of ten-up too, so you can show your club’s colours. The Giessegi Cauberg jacket is a really nice water-resistant jacket with neat customisation options. However the lack of bum flap is disappointing and the sizing a little odd.